The group discussed the book “The Daughter” by Pavlos Matesis (“Η μητέρα του σκύλου” του Παύλου Μάτεσι). The HPST opened its 2013 – 14 season with its fall General Assembly meeting, introducing its newly elected executive board, welcoming new members and discussed its planned events for the new season. 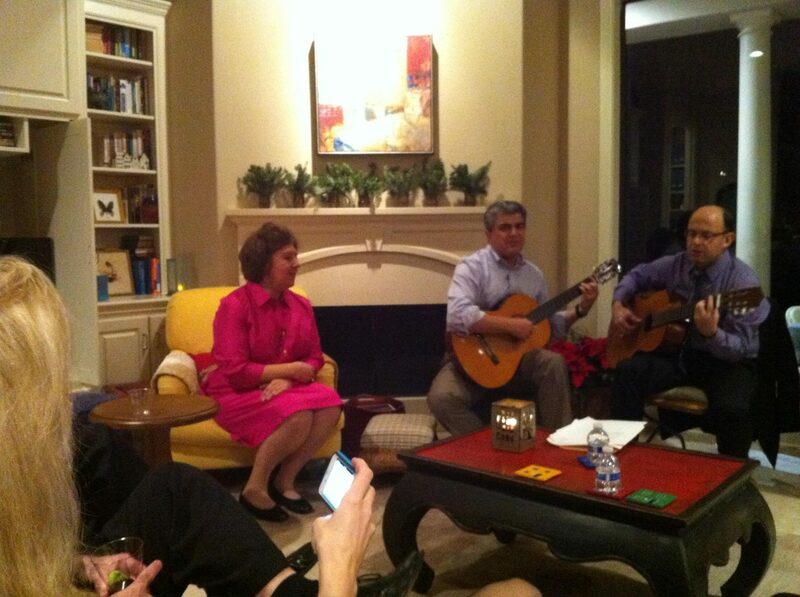 The event was concluded with a potluck dinner. The well attended event took place at Rice University’s Duncan Hall. We thank the presenters: Alexander Kalamarides, Dimitrios Varvarezos and Katerina Kontogeorgaki for meticulously planning and putting together a superb presentation! 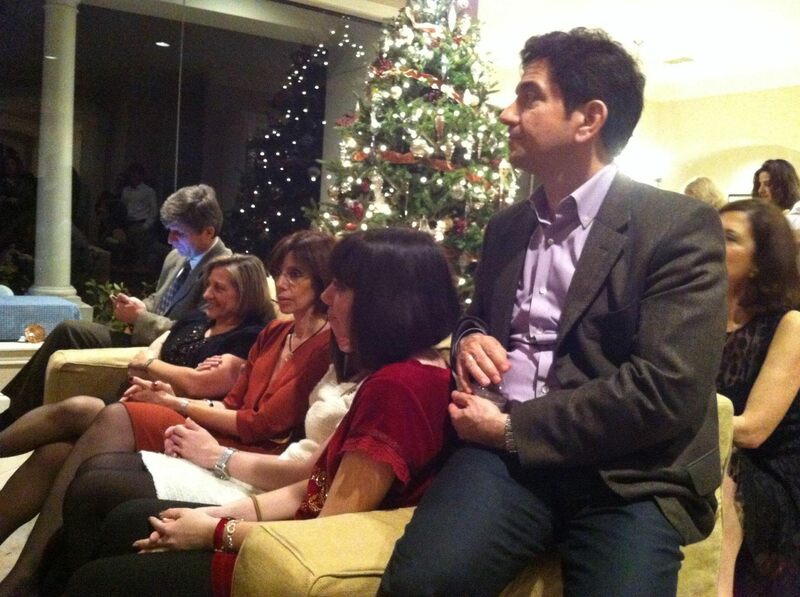 This traditional social HPST event was graciously hosted by Stergios and Gina Liapis. We thank them for their hospitality and generosity. It was a night to remember for all present. With the arrival of the new year, the Society held its 2013 – 14 season’s second general assembly meeting to review past events with its membership and discuss future plans. 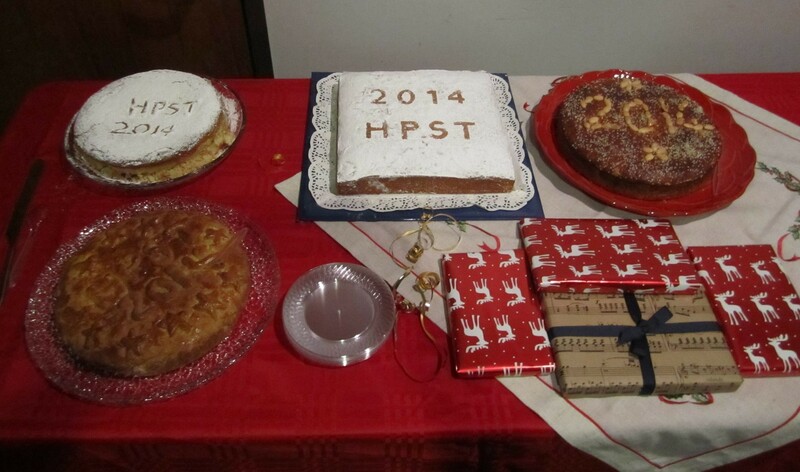 The event was concluded by the cutting of the customary vassilopita to welcome the new year. 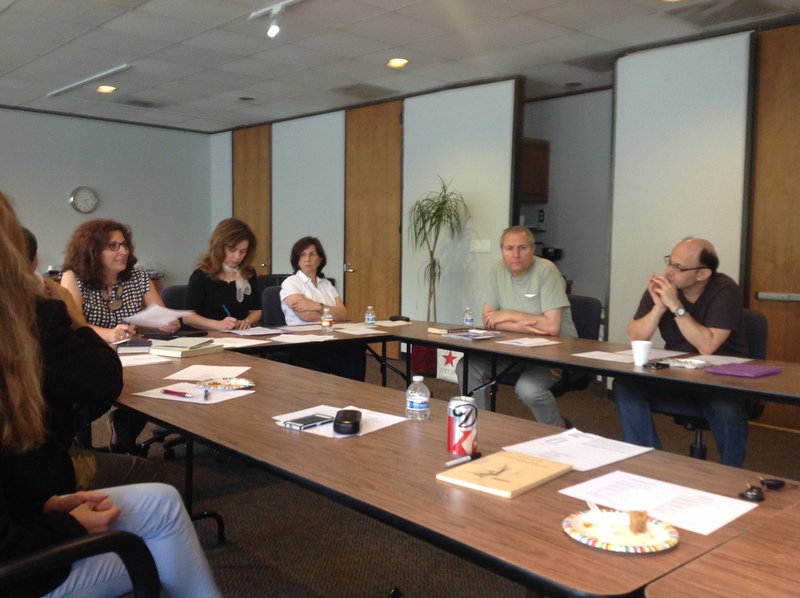 The group discussed the book “The riddle of the Labyrinth: The quest to Crack an Ancient Code” by Margalit Fox. 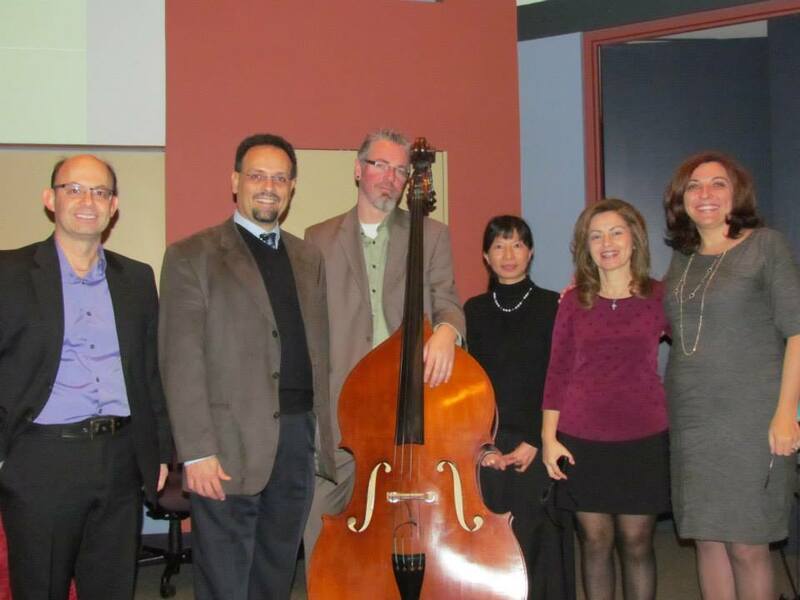 The event was held at the Junior League of Houston to honor our 2014 scholarship recipients: Nikolaos Bouklas (UT), Michalis Hadjioannou (UT), Angeliki Kalamara (UT), Athanasios Metaxas (UT), Panagiotis Moutafis (UH), Efrosini Tsouko (UH) and Nikolaos Vergos (UT). The video presentation showcasing past Society recipients added to the night’s great success. Congratulations to all the well-deserving scholarship recipients! We wish them all the best in their future endeavors. A lecture by Dr. Ge orge Vroulis was held at Martel Hall of the Annunciation Orthodox Cathedral. 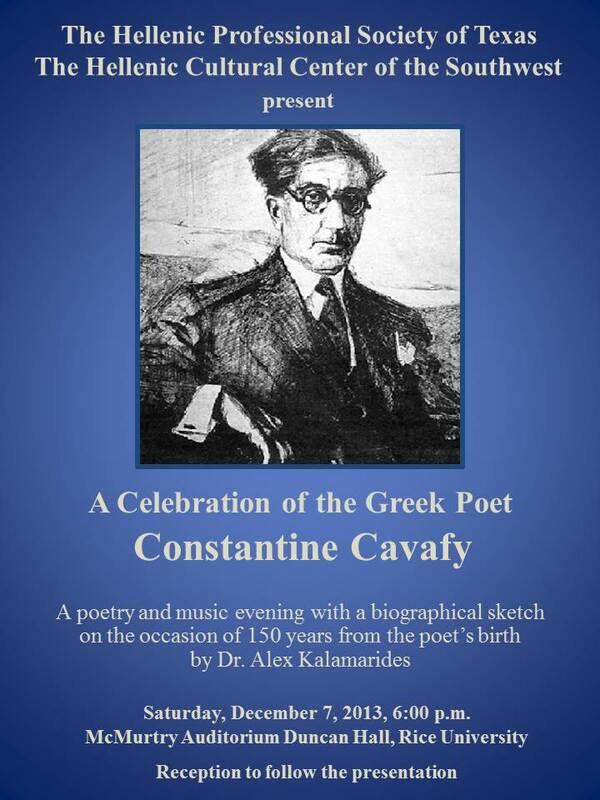 The event was co-sponsored by the Annunciation Greek Language & Culture School PTO. 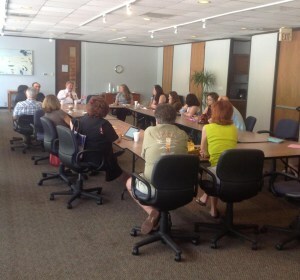 Dr. Vroulis’ presentation was engaging, insightful and created lots of discussion afterwards. Thank you George! HPST members visited the Ho uston Center for Contemporary Craft and heard Anna talk about her exhibit. HPST members gathered at the upper Kirby building to celebrate National Poetry Month, by reciting their favorite Greek poems. The informal interactive event, nicely organized by Katerina Kontogeorgaki, generated lots of lively discussion and fun. 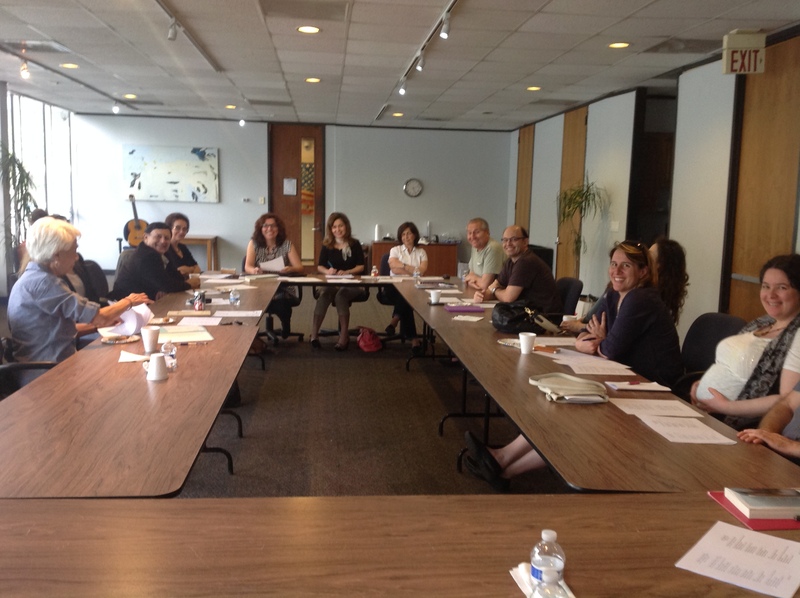 The last General Assembly Meeting of the 2013-14 season was held on Sunday, June 8. The meeting was called to order at 6:00PM. Recording Secretary Tatiana Zakolikou read the minutes from the previous (January) General Assembly meeting, Treasurer Katerina Kourentzi presented the financial report and President Lena Patsidou summarized the events and activities of the past season, thanking all who contributed in making it a success. At the conclusion of the General Assembly Meeting, elections for the new Executive Committee were conducted. We wish the new board success and wish all our members Καλό Καλοκαίρι!